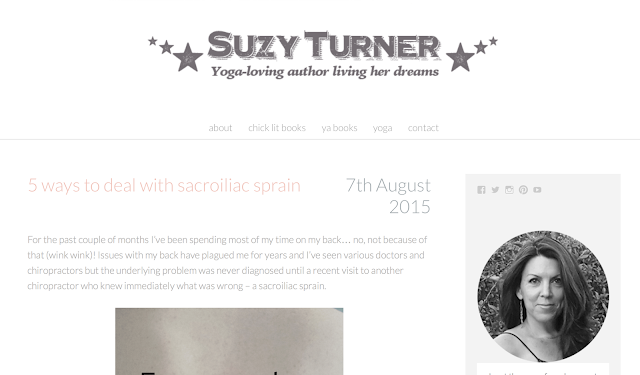 Fiction Dreams: I have a new lifestyle blog! I have a new lifestyle blog! I'm so excited about my new lifestyle blog, which I launched recently. Although I'll still be talking about my books, I'll also be talking about yoga, writing, health, life in Portugal and general lifestyle issues that affect women of all ages. Although I've had the domain name for some time, and have used it in varying degrees on blogger and weekly, it's now a fully self-hosted site over on Wordpress so I'm serious about taking it to the next step! What is difficult, however, is gaining followers so if you'd like to pop on over and check it out, please do follow me - either via Bloglovin or by following posts, both of which can be done on the right-hand side of the front page.